Your pastor may be good at something like, let’s say, preaching, but can your pastor fly? 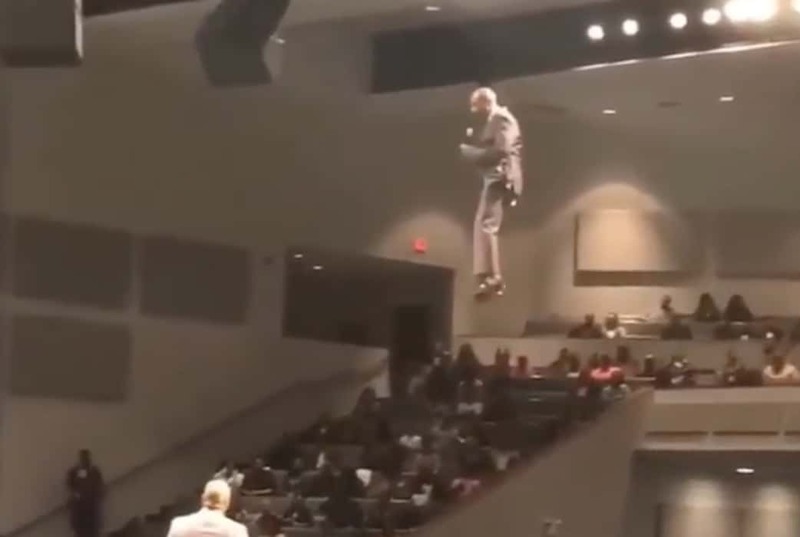 Can your pastor bring home a sermon illustration about the Second Coming of Jesus Christ by floating above concerned congregants and then stick a very precarious landing? If you answered no to those questions, than we are not sure you are even going to church. The video below shows the secret to good preaching that you won’t learn in seminary.